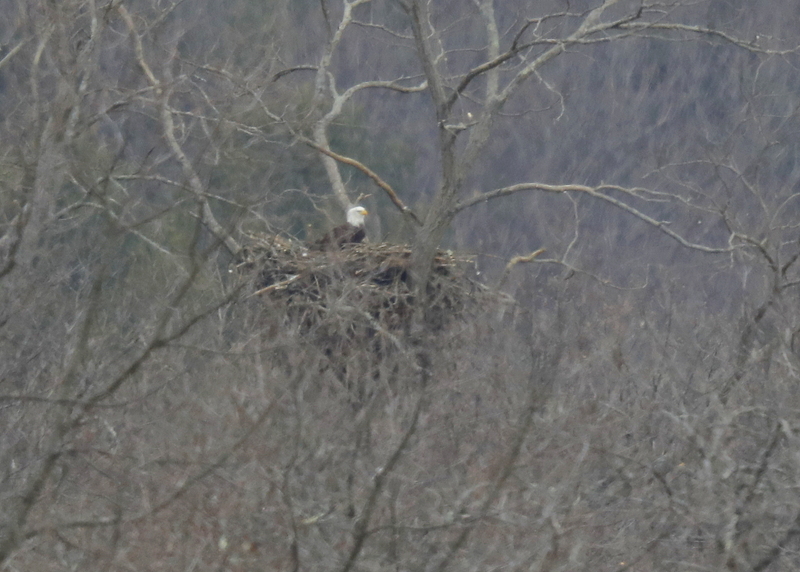 You are browsing the Blog for bald eagle on nest. 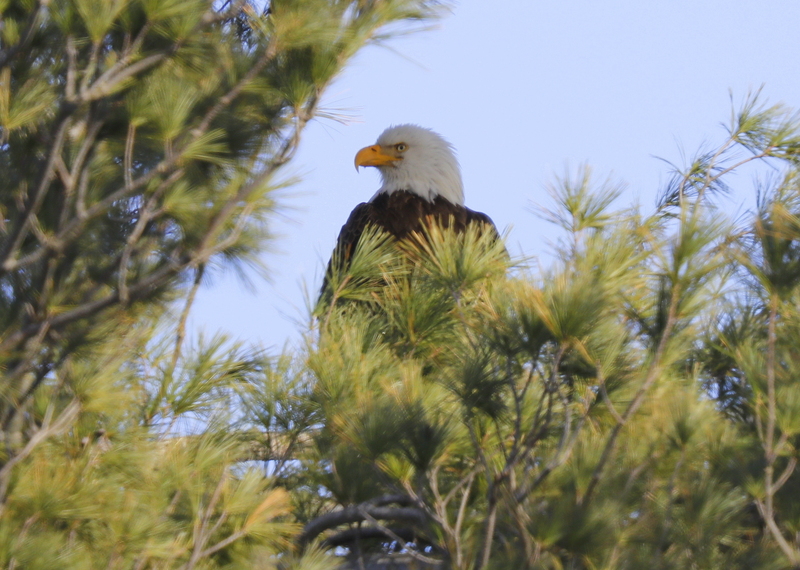 Under bright sun, blue skies, light wind and temps close to 60F, was able to observe this female Bald Eagle who has been incubating for the past month. 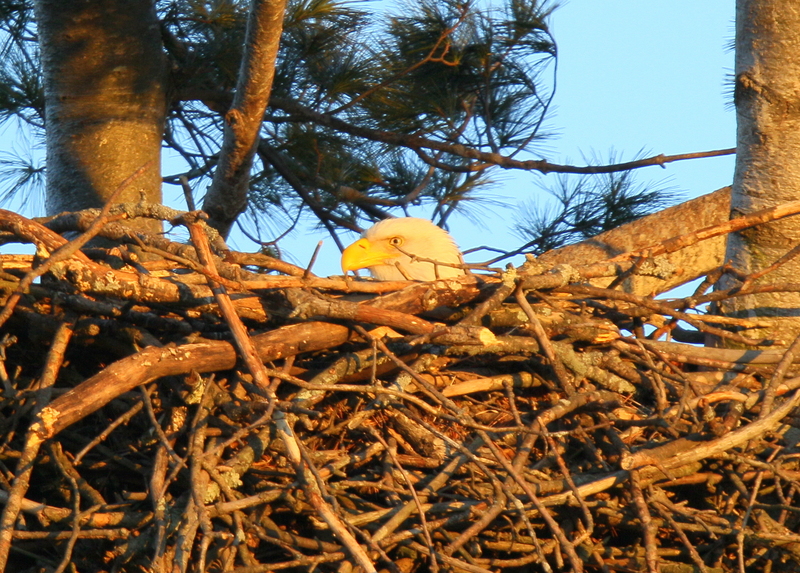 At this point in calendar, likely use has hatched at least one egg and the young eaglet is now growing! Sixty to ninety percent of a bald eagle’s diet consists of fish. The birds generally scavenge dead fish, although they will catch live fish as well. 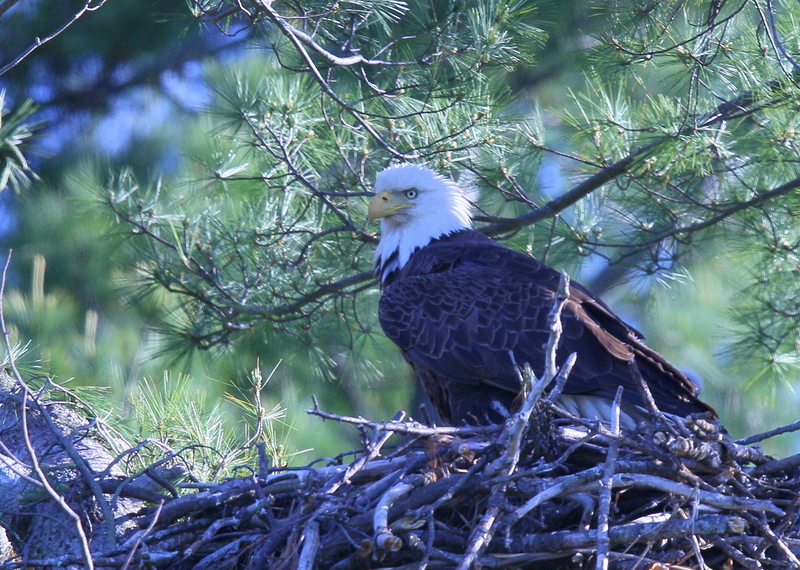 The bald eagle is an opportunist and will sometimes steal fish from an osprey or crow. But ospreys have been observed stealing fish from young eagles as well. The bald eagle uses several fishing techniques. A favorite method is to perch in a tree and watch for a fish swimming in open water nearby, and then swoop down to capture it. If a suitable tree is not available near the water for perching, the birds may also fly out over open water looking for fish below. In winter, they may perch on the edge of ice near open water and wait for fish to float by, or to wash up on the ice. After catching a fish the eagle fly back to a perching tree to eat it, bring it back to the nest, or if the fish is small enough, swallow the fish whole while the bird is in flight. Occasionally, eagles will carry a larger fish they have caught back to the ice or to the shore to be eaten. 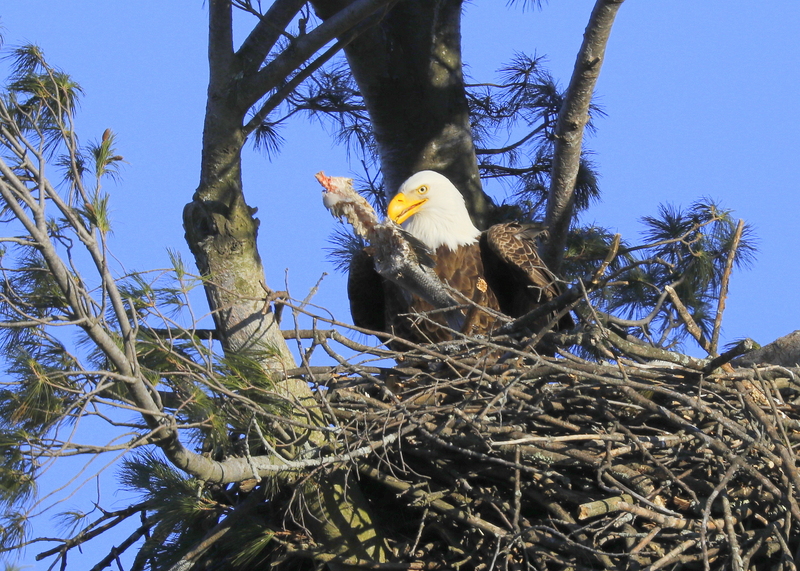 In over 80% of their feeding, wintering bald eagles along the Merrimack River, feed upon small fish they can eat while flying. 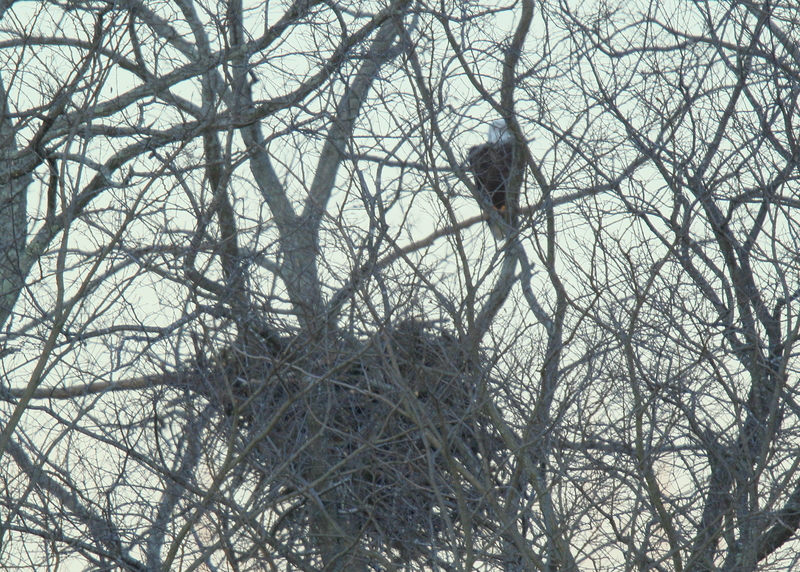 Always a lovely sight to observe the female Bald Eagle incubating her eggs at the nest. Looks like eggs were laid around Valentine’s Day….and hoping they will hatch around St. Patrick’s day….stay tuned! 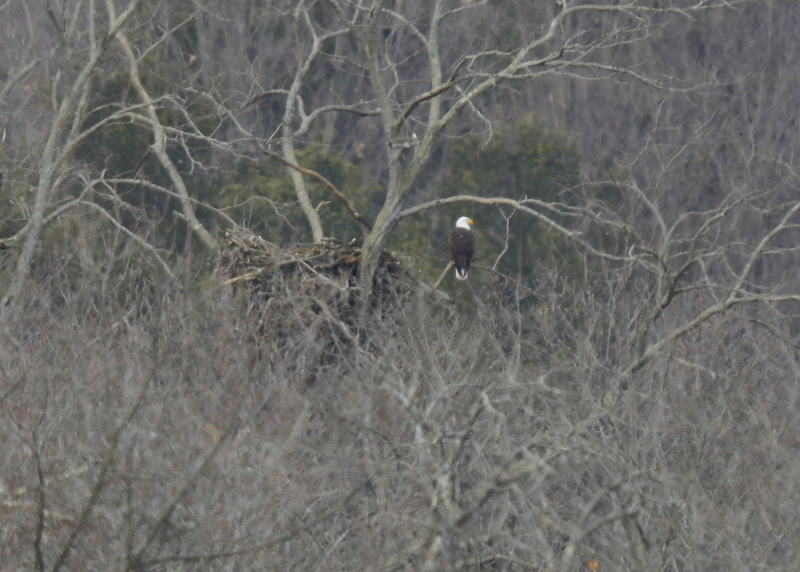 The Bald Eagles on the new nest in Essex County continue to spend time perched on or near the nest. 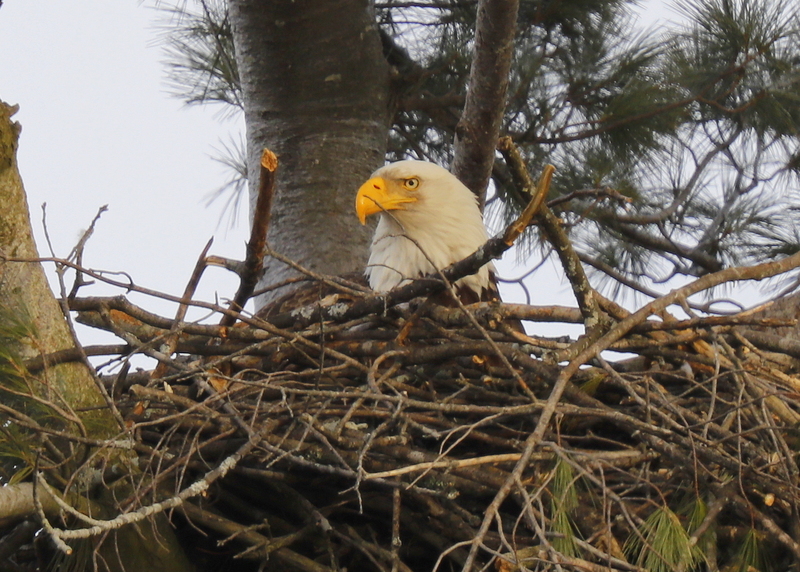 Awaiting a clear set of observations that the female has laid eggs and has begun the incubation process…..stay tuned!